Like most people I have a boss. Like most bosses he has his good days, and he has his bad days. Sometimes however, his bad days are really bad. For instance, the other day he literally came out screaming and swinging about something he was overly upset about and the whole incident was so unprofessional my HR department asked me to write a memo about what went on – there were cuss words, and tempers, and even threatening body language, par for course some days. Seeing as how the man has worked here for over 10 years, and yet is never called on the carpet for his behaviour simply because the women who work here are fearful of losing their jobs, I wrote the memo. I am never concerned about doing what is possibly right; it’s a quirk of mine. A little side real quick; I am blessed. Despite everything and all the trials I am given, I am blessed in this world in so many ways. It allows me to have the strength to stand up when others can’t. My children will be fed no matter what, I always have a place to live, and I can always find my way home. Others are not so lucky, and therefore, their decision to not stand up is in no way wrong. No one who chooses the safety of their home and family over the glory of taking a monster down should ever be punished or scorned. So when the consultant asked me what I believed should be done in this situation, I realized there was not one thing that could be done. Not One. And the reason for this was simple: the man in question would never believe that he needed to change. Oh, he may have spent a moment worrying about something trivial, but I promise he never once, could ever, see that who he was at that terrible moment was truly a monster. He was the monster that scares our children at night, he was the monster that we read about it, that we fear, that we avoid in every way that we can. But as a boss, and a rather effective employee, he was allowed to be a monster. We call this in medicine a narcissist. A person who believes with everything inside of him that he holds all the glory, that the angels weep for his presence, and that each and every thing he does is not only justified but just. I once read a book with one of the villains in the piece being described as a narcissist. The main character went to a therapist about the villain and was told, a therapist fears a narcissist coming in the door because there is no way to change them, help them, or make them see wrong. And that is a true statement. If you believe that you are justified and correct in everything you do, you can not be changed. It is impossible to change a person who sees nothing wrong. Doesn’t work. Waste of time and money and quite frankly, waste of thought. Don’t even do it to yourself. So what is the solution here? Can my department be saved? The answer is no. It is that simple and that depressing. Those who are on the receiving end of this man’s anger must simply deal with the fear. As long as he performs, and does everything he is asked and more at a level that few could duplicate, there is simply nothing that can be done. Sensitivity training won’t work. Medicine won’t work because he won’t take it. Even demanding that the man go to therapy, truly won’t work. All of this got me thinking about my own life and my own personality. I can argue that I am not a narcissist (although by definition a narcissist wouldn’t actually admit to being one), but like anything else in this world, do we all have little habits, little traits that show we are not the perfect beings we demand from each other? I have a close relative who is much like my boss. He is a boy in grown up clothes. He has an elevated sense of who and what he is, he truly believes even past middle age that he is indestructible, and you will never convince him that the demons are real. Sound familiar? This personality is actually quite prevalent. But how can I keep myself from being the same? And before you say, the fact that you are asking the question is enough, I will counter that asking the question is NEVER enough. It is never enough to just ask the question, it is even more vitally important to answer the question. But what is the answer? How do I stop myself from believing that what ever I am doing, good or bad, is the right thing to do? I live my life with some strong principles: always, always tell the truth, and never stop learning. Those are what I consider right. But do I consider them right and just because society has dictated that those behaviours are good, or do I consider them right because it is what allows me to sleep at night? I will never justify the behaviour of the examples I gave today, but I want to ask you one simple question: You have beliefs, you have tenets that you live by. Why are those right? Why is what you’ve decided good, good? Why is what you’ve decided bad, bad? What is the definition of right or wrong? And who came up with it? And while the truth is, I don’t want to be like the men I talked about here, why is what I want to be, right? Who makes those rules? And why are they the rules? Here is even a harder question: why is hurting someone, scaring someone, even destroying someone wrong? Who made it that way? And why do so many of us determine what is right and what is wrong simply based on what this world tells us is right and wrong. Think about it for a moment. You won’t like the answer. Because the truth is, there is no playbook in this life, there is no set of rules that are indisputable. There is no one thing in this world that is set so much in stone, that no one can make an argument for it. 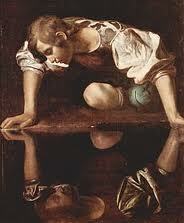 The truth is we are all a little narcissistic, and we are all a little wrong. And we are all, sometimes only behind lock doors, the monsters.